As Vice President of Development for Apple Leisure Group®, Federico Moreno-Nickerson, is part of the team commissioned with the task of expanding the company’s footprint in Mexico, the English-speaking Caribbean and Latin America. Leveraging over 30 years of relevant experience in destination marketing, hotel management, operations and product development for the high-end segment, Federico also focuses on strengthening relations with partners and tourism organisms in target destinations. Before joining Apple Leisure Group, Federico spent 13 years as Director of Product Development at Classic Vacations, Expedia’s luxury brand. During this time, he worked closely with hotel partners and tourism boards to expand their mutual business in the Caribbean and Mexico’s top selling vacation destinations. During his tenure, Classic Mexico outpaced the destination growth, and in 2015 Classic Caribbean became Classic Vacation’s top selling destination, surpassing Classic Hawaii for the first time in the company’s history. 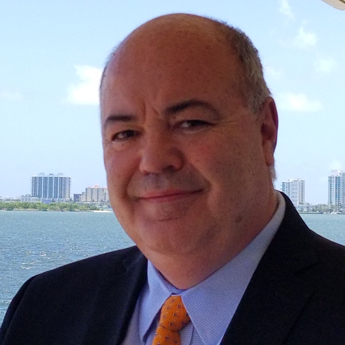 Throughout his career, Federico worked for several international chains such as Accor, Hilton International, Hyatt Domestic, Posadas and Camino Real, in Mexico, the Caribbean, United States and Europe. His career in Mexico City lasted almost a decade and concentrated on hotel operations and destination marketing. As Senior Director of Marketing at Four Seasons Hotels & Resorts, he successfully opened the hotel in Mexico City and the Four Seasons Resort Punta Mita. During this time, Federico also accepted the Promotions Committee President role at the Mexico City Hotel Association where he was responsible for making recommendations on how to best allocate the funds generated from the recently implemented occupancy tax. Federico was later appointed as Chief Counsel of Mexico City’s first Tourism Organization, where he co-authored the destination’s first Strategic Marketing Plan. Prior to this, as opening General Manager for Hotel Marquis Reforma, he crafted the business and marketing plans and laid the operational foundations that were instrumental to the success of this independent property in Mexico City. Recognized for his luxury travel and destination marketing expertise, Federico is a founding member of the World Heritage Alliance between Expedia Inc. and the United Nations Foundation, and a frequent speaker on UNESCO World Heritage Sites. Federico is a graduate of the Conrad N. Hilton College of Hotel and Restaurant Management at the University of Houston where he earned both a Bachelor of Science Degree and a Masters in Hospitality Management.